We had another odd month of TV in April. Bob’s Burgers was off the air, Powers continued to fluctuate between good and I can’t watch this, and iZombie introduced its love interest—and I’m not a big fan of that arc. As a result, those three shows didn’t make our list but we have five others that met the challenge – for the most part – and we saw a couple of resurgences and a couple of new faces. That’s enough about the also ran shows, let’s get to our Top 5 RV shows for April, 2015. Oddly enough, Arrow makes it on our list because even though they haven’t been consistent, they’re a lot more consistent than the three shows that just missed the cut. 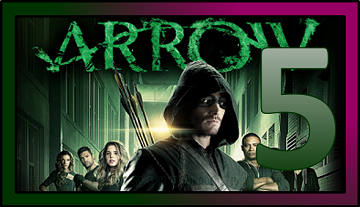 I could exchange five and four – and have a couple of times – and I wouldn’t feel too bad about doing so, but Arrow starts off our list because of its inconsistency all year. We’re also awarding Team Arrow’s risk-taking. They may or may not have written themselves into a corner but they’re coming out swinging and that should make for an interesting season finale. 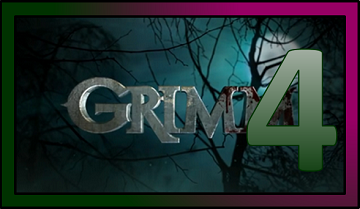 Grimm edges out Arrow again this month but by the narrowest of margins. Nick and company haven’t had the best track record for the month of April either but their ongoing story arcs solidify the four spot here. Their season finale is also more of a sure thing – as in they should have more a workable and coherent ending to their season – than the man in the hood. Grimm should watch its back. Arrow could zip pass them next month, should Arrow deliver a memorable finale—and that’s something Arrow does well. The Flash dropped from our top spot last month, but it didn’t fall too far. It lands at our third spot because, like so many of the other shows on our list, it wasn’t consistent. The Flash’s last two weeks were solid and propelled the season to its finale but the two episodes at the beginning of last month didn’t fare as well. 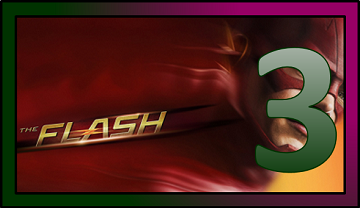 Hopefully, The Flash will ride its newfound momentum to a great finish. 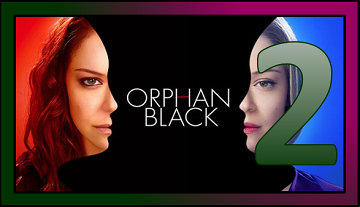 Orphan Black made its triumphant return this month. The acting, direction, and writing are still firing on all cylinders. I was skeptical of the newly introduced male clones and how they’d fit in this world but they’ve integrated well and I’m surprised Orphan Black didn’t get our top spot. But there’s one show that topped it. There’s no doubt that Daredevil should earn top honors this month. Daredevil is to Netflix what Final Fantasy VII was to the original Playstation. If you didn’t buy the device/service yet, this is your reason to do it. The action sequences are rawer than anything you’ll see on any other channel. You can feel Matt Murdoch fighting twelve people in the single shot hallway scene. It’s not pretty but taking on twelve people at once isn’t pretty. The acting’s fantastic; each character was three dimensional, not your typical flat stereotypes. I was on the fence about making Kingpin, a villain that barely qualifies as human in the comics, sympathetic but Vincent D’Onofrio brought the character to life. And if this is what we can expect from the marriage between Netflix, Marvel, and ABC Studios, bring on the rest of the Defenders. Jessica Jones, Iron Fist, and Luke Cage already have series planned for later this year and early next year and Punisher just got added to the mix. I can’t wait. 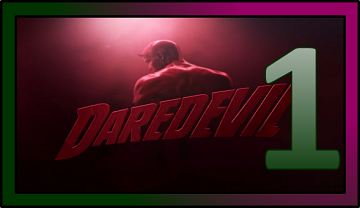 For those of you who don’t have Netflix, here’s the intro for Daredevil. It’s haunting and a warning that there will be blood. Yes, there’s plenty of blood but the blood serves as a reminder of Matt Murdoch’s dangerous world. He won’t escape too many fights without a few scrapes.